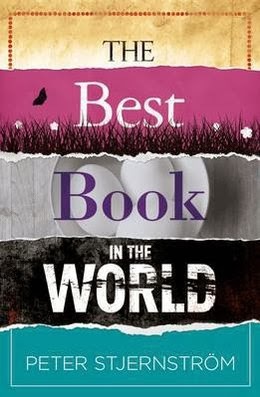 The Best Book in the World is a witty tale of competition and sabotage. Stjernstrom is able to satirise the publishing world with great skill, and there are moments where the book is laugh out loud funny. The plot is fast paced and farcical with publishers making use of unbelievable, high-tech methods to protect their manuscripts and ensure their authors are sticking to the clean living lifestyle they promised. It is not surprising to read that the author came to writing after a career in finance as this novel offers a fresh perspective on the literary world. The characters are bizarre and cartoonish but this works within the context of the book, which is quite ludicrous in places. The novel ends with a predictably weird twist leading to a conclusion which is amusing, if a little confusing for some. It may not be the best book in the world but it’s a highly entertaining read.